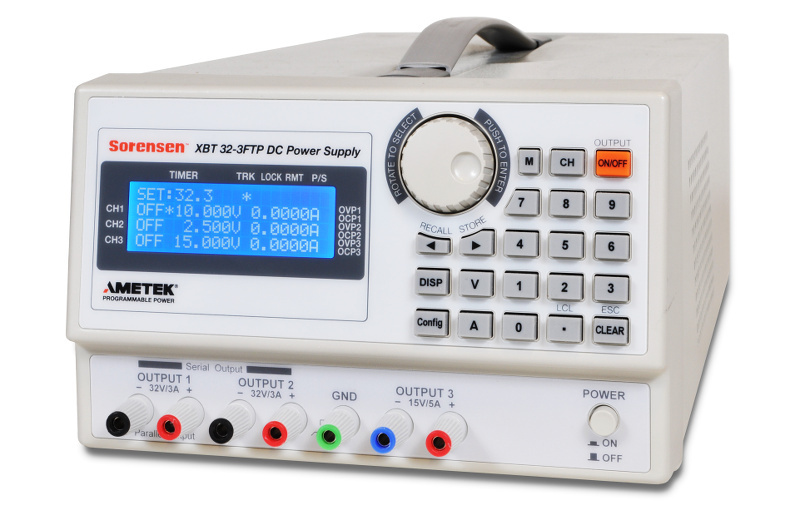 0 - 222W True 16-bit triple output digital benchtop power supply. Channels 1 and 2 can be programmed 0-32V and 0-3A each. The third output is fully programmable 0-15V, 0-5A up to a maximum of 30W. 230V input and GPIB/Ethernet variants.